I’ve had a crush on Jim Sherraden since first meeting him almost ten years ago. It may have been his easygoing manner or how he could skillfully crank out the storied posters that peppered my walls. It was almost definitely the soft brown leather cowboy boots he was wearing. I remember staring at them while he scribbled his name along with stars and hearts and fireworks into the book I bought. I remembered that he was in Nashville while I planned my trip last month and I also knew he was making new art. Something I had to see. Because it’s something like I’ve never seen before. So I emailed him, and folks, dang it all if the man didn’t email me back. Within a few weeks, I found myself in the passenger’s seat of his truck headed to Watertown, Tennessee where he has his studio. In truth, where every artist I know should have a studio. 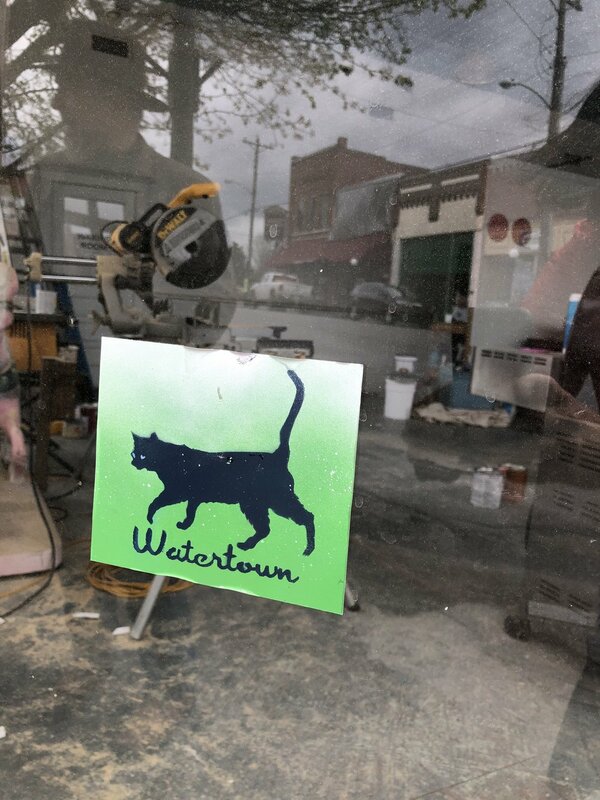 It’s a small town that’s about to become something extraordinary, so you heard it here first…well, second, since Jim’s become sort of an ambassador of the place. His new art is really special. 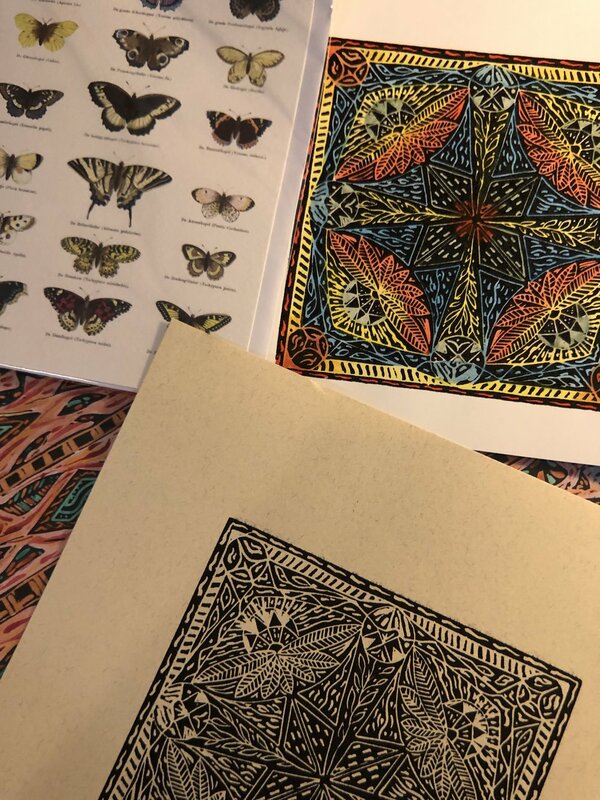 He prints his own designs from hand-carved blocks, then water colors the paper and cuts it into traditional or non-traditional patterns. 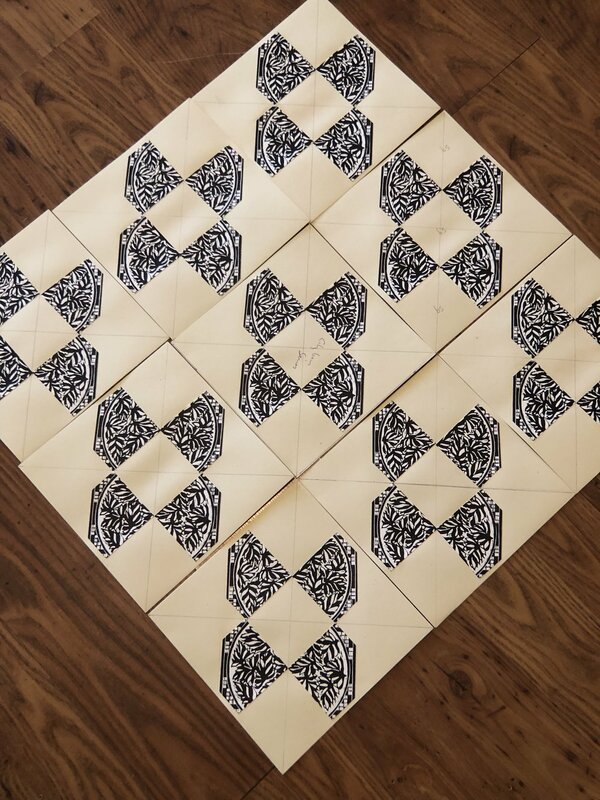 Marked out and placed together the patterns become paper quilts. 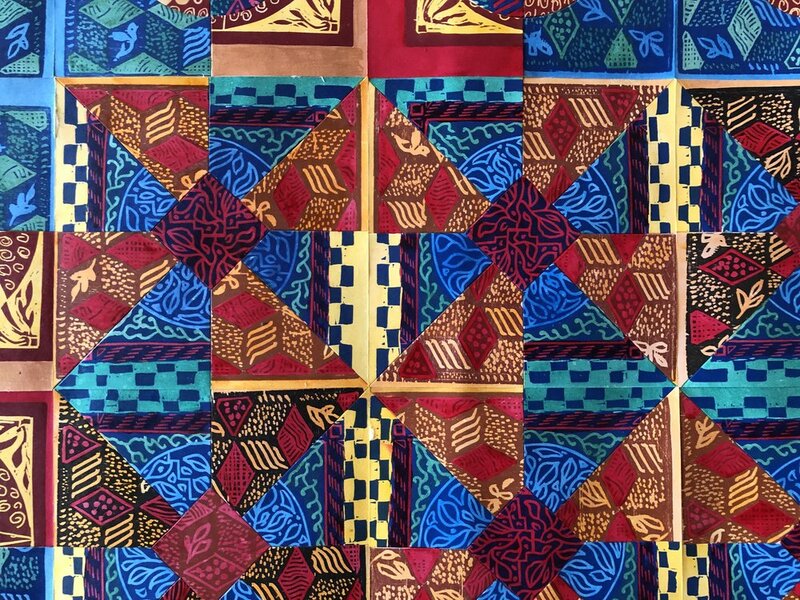 Quilts that are so perfectly imperfect it’s hard to capture them in photos. I hope Jim won’t mind my pasting this here without editing it because I love the way he sends emails. It’s endearing and delightful to get messages from him and his easy manner comes through each line. 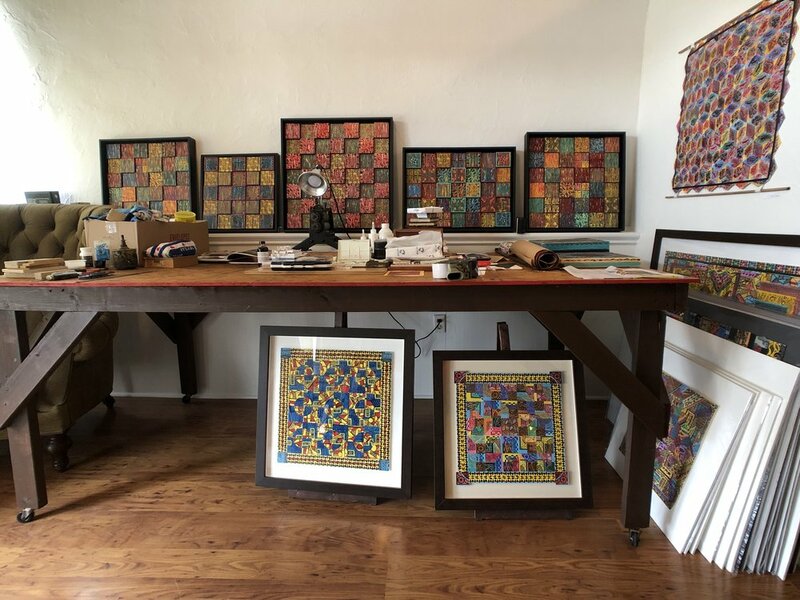 Here’s your chance to get to know Jim Sherraden, working artist, master printer, paper quilter, and man about [Water]town. best gift ever received....another way of asking this would be "best gift ever accepted"... and my answer would be, "my health". most love about watertown...proximity of all essentials. everything is a slipper job, so close I can just wear house slippers to get there..
a film that you think defines amer. culture...Robocop the original. only the original. Want to get in touch with Jim? You can find his website here. He is actually new to Instagram, but follow him for an inside look. Watertown, Tennessee is pretty cool. 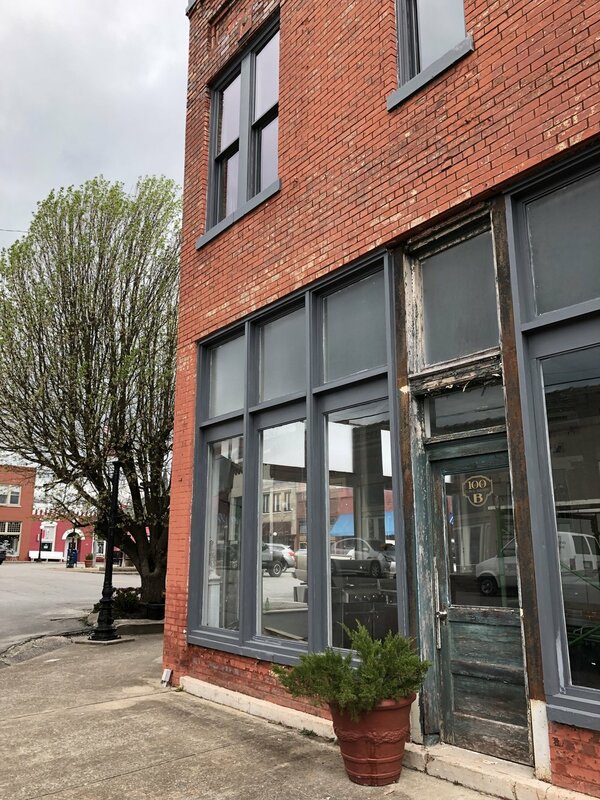 If I had a little extra cash, that corner building on Main Street would be where Townie Tourist would have a Tennessee office. 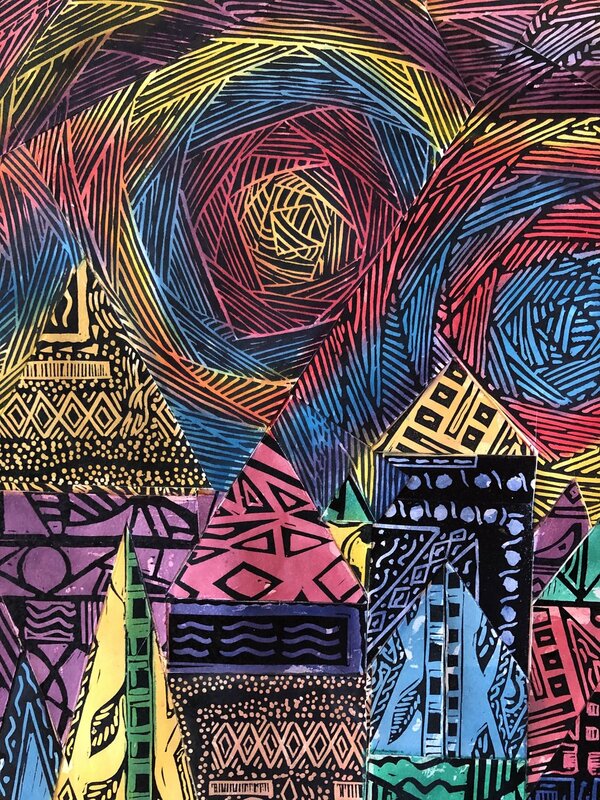 Jenny De Witt is the Townie Tourist, serving up the diverse art, culture, and craft of Orlando and Central Florida. Life here is so much more than the Mouse. Tune in to watch LIVE on Facebook, Saturday mornings at 10 AM EST. Interested in collaboration? Have an event you want us to cover? Get in touch. I’m sorry, I can’t hear you over the cuteness that is all over my screen right now. Had to kick myself for timing my trip to Nashville just a few weeks before the opening of The Catio. It will operate in partnership with Nashville Cat Rescue, a network of fosters who care for and find forever homes for kittens. They’re located about three miles from downtown Nashville at 1603 Riverside Drive, Nashville, TN 37216. This cat lounge and vegan bakery is in the heart of East Nashville. Wi-FI is available and along with a full-service cafe with fresh-baked vegan goods, there will also be Panther Coffee and select teas and other beverages. Really, the most important is spending time with adoptable cats. Just think, you could go visit East Nashville and come back with a fur-ever friend. We strive to build a sense of community by offering a place where Nashvillians can come to eat, relax, and watch kittens play. 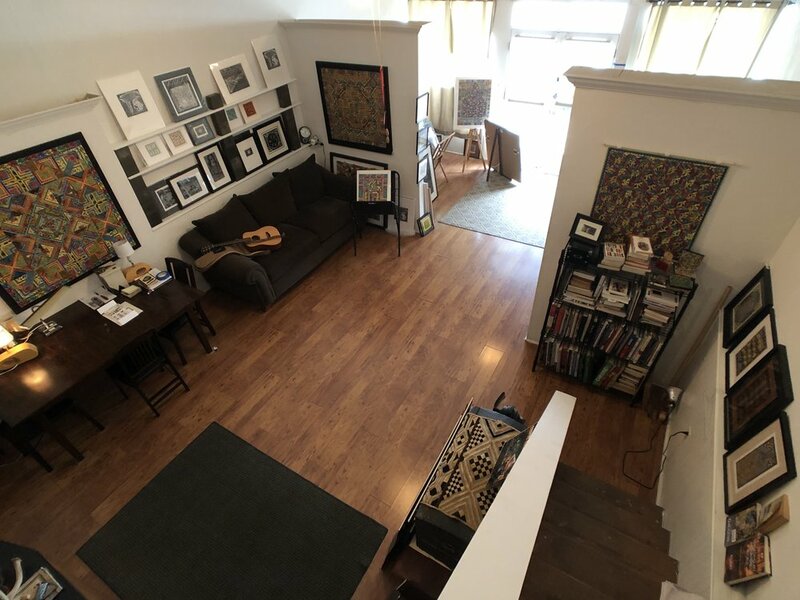 We are also an inviting space for the many tourists who visit Nashville every day, looking to pick up a treat and play with kittens while visiting our beautiful city. There will be cat-safe potted plants for sale. An hour in the kitten room is $12 and they’re open Tuesday through Sunday 9am-5pm. Give ‘em a follow on Instagram to check in on progress. They should be open by mid-April. Can’t wait to visit again! This visit to Nashville, I picked East Nashville. Now, don’t get me wrong, there are PUHLENTY of neighborhoods to choose from. Much like Orlando, each neighborhood in Nashville has its own personality. East Nashville is kind of hanging out by itself to the northeast of town. When I say “town” I mean it. Nashville has about 750K people in it so it’s smaller than Orlando. It’s easy and cheap to Uber around and they even have UberPool here. I chose that option each ride and no one ever got in the car with me so it ended up being a cheaper version of the regular Uber ride. I grabbed dinner at Mas Tacos. This lady’s been making tasty food since starting her OG food truck, often still seen on the road, back in 1979. Get one of everything. Cash or check only. Seriously, bring a check just to be able to write one again. What else are you going to do with them? Cafe Roze was a perfect little lunch spot. Welcoming, cute, friendly, and full of delicious food. I had a superbly simple and delicious salad, juicy and perfectly cooked local burger, and a bright and yummy handmade pineapple mint fizzy soda. If you go, and you have to go, don’t forget to grab a Cafe Roze Latte to go. It’s got rose petals in it! Another stop I have to mention was for the hundred-layer-donut at Five Daughters Bakery. I think the word c-r-o-n-u-t is trademarked so it’s not that, but it’s like that, but not exactly, but basically, but not. It’s light, fluffy, perfectly iced, and like a cloud of yeasty, airy, lovely with vanilla sugar icing. Well, just look at it. Don’t you want one? If you absolutely need one and can’t make it to Nashville, they’ve got a shop in Seaside, Florida. What’s that, like five hours away? Just go. Barista Parlor is one of the best locations to grab a pour-over and jumpstart your morning. I opted for the Daredevil, a citrus-y mix of Sumatra and Guatamala that packed a punch. The short wooden stools here are kind of amazing. They tip forward so you feel like you’re ready to let the brakes loose on your Big Wheel. You’re being propelled into whatever you’re doing: starting a new creative venture, business, investment fund, or relationship. You feel like you’re already going even while sitting down. It’s rad. I feel like I need one of those stools in my life every single day. Walk to Gift Horse from Barista Parlor and you’ll follow beautiful brick sidewalks with unique houses-turned-shops until you’ve reached a super neat little area full of local treasures. This is THE place for unique Nashville tchotchkes. Jessica hand picks amazing goods you won’t find anywhere else in the city; local finds and fun cards, bags, dishtowels, t-shirts, pillows and posters. They’re not open just yet so I was super sad about having to miss the kittens, but I got in touch and the people in charge filled my phone screen with floof. So, if y’all are headed to East Nashville, put this vegan bakery and cat lounge on your list. Welcome to The Catio! Follow their Instagram right now. It’s cool. I’ll wait. “East Nashville is great, but you won't see many people walking. There are little pockets (5 Points / Eastland Avenue, Riverside Village) where you'll see a little foot traffic, but not much. For walkability, biking, and scootering, you'll need to venture to the other little neighborhoods, particularly 12 South, Midtown, Hillsboro Village, Germantown, The Gulch, and Downtown/SoBro. You'll definitely see more activity here. Cars/Lyfts are still the primary way of getting around though." Where do people in Nashville go to get away for the weekend? Are you seeing any trends in travel to specific neighborhoods or areas? Best options for coffee in your opinion? All in all, a fantastic neighborhood visit and I will definitely be back. Frontier has super-affordable and fast direct flights from MCO. It’s an easy weekend trip, so add it to your list for exploring.